With so many options out there, choosing baby clothes can be downright overwhelming. How many types of clothing should you get? Are there different outfits for different events? And what about laundry? Luckily, we already have the 101 on how many baby clothes you need and how exactly to prep a wardrobe for your newborn. So once you have the essentials down, what are the “best” baby clothes out there? While you certainly don’t need a wardrobe of super-special clothing, it is true that some pieces can be quite useful. We asked thousands of real Babylist families about the baby products they love the most. They shared their favorite clothing items that made life with a newborn much easier. And we can see why. 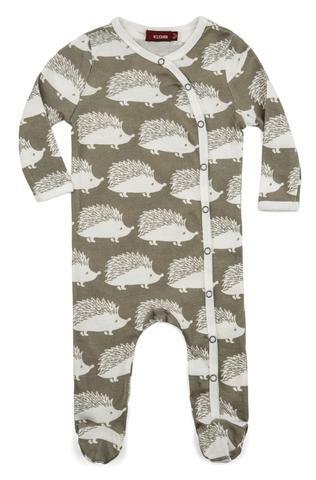 These cute baby clothes stand up to poopsplosions and copious amounts of drool, are as comfy as a pair of sweats and so adorable they make us want to squeal. We have to hand it to the designers of these duds—they’re brilliant! Light and silky next to your newborn’s skin, these kimono-style bodysuits are also a breeze to get on your baby. No tugging over that fuzzy head, just open up the snaps along the side and wrap the bodysuit around your little one. Did we mention this makes getting your baby’s arms in a million times easier, too? Plus, Babysoy makes their version out of eco-friendly, non-GMO soy fibers that are smoother than cashmere, wick away moisture like cotton and help retain body heat like wool. There’s also an organic cotton option. Some parents find the kimono bodysuits to be quite short, so your baby may quickly outgrow them. “Kimono onesies will save your ears from the crying and your sanity from not having to wrestle with a baby who doesn’t want to be contorted into a piece of clothing. I would never use a pullover onesie during the first four to six months again!” -C.L. Kiss the frustration of trying to dress a squirming, crying baby goodbye with these side-snap closure bodysuits. It’s even better than having a zipper because you don’t have to worry about accidentally catching your baby’s chubby thighs as you zip it up. While the organic cotton bodysuits can go in the washer and dryer, you will need to be careful to close the fasteners before laundering and tumble dry on low. 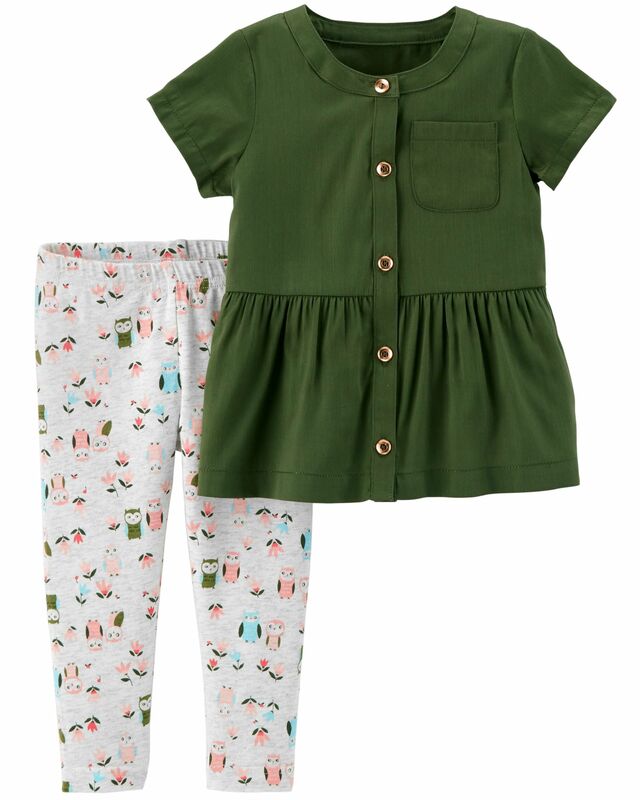 This romper from Finn + Emma is perfect for your stylish fashionista in the making. With snaps, getting them dressed will be as easy as 1-2-3! Let’s not deny it—baby clothes can be really cute. 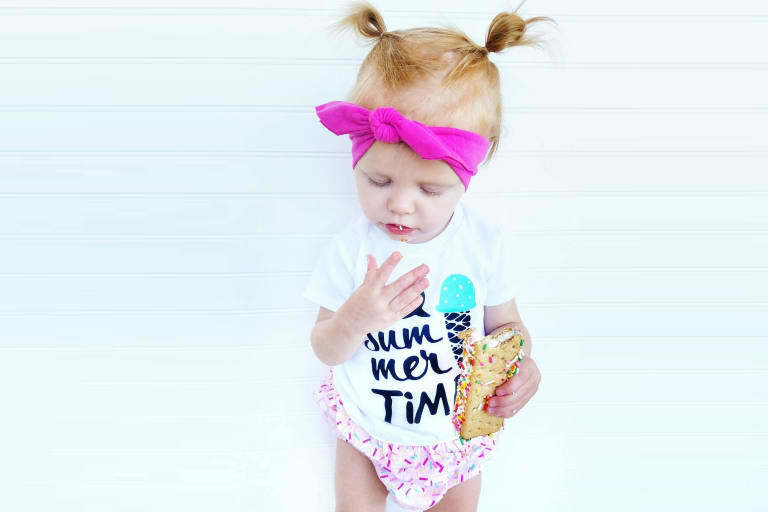 But while it can be fun to design a flawless outfit for your child, you might find yourself typically rushing out the door and sticking to the simplest, cleanest bodysuit you can find. 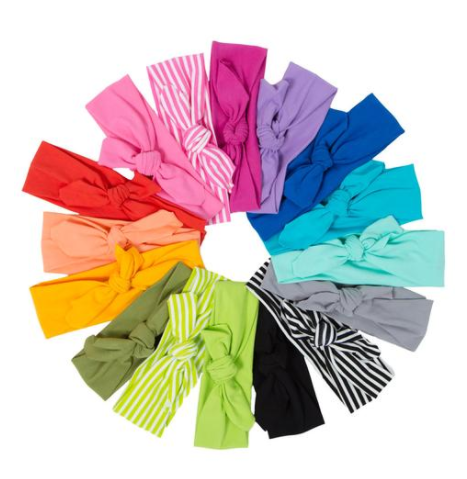 That’s why June & January’s headbands are such a sweet find—their bright, colorful headbands are easy to wear plus extremely adorable. These vintage style headbands are made from a cotton spandex blend that makes them comfy and stretchy for your baby. Having a few on hand can dress up any day out with your little one. Planning a day to the beach or waterpark? 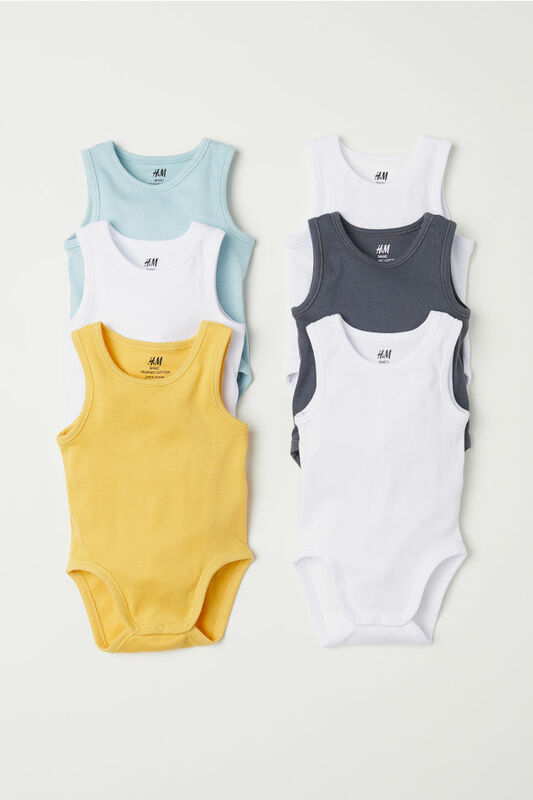 This set of bodysuits from H&M is perfect for those hot days in the sun, and they’re made with 100% organic cotton. If you plan on taking baby into the sun make sure that they have a protective layer of sunscreen. Spasilk are the makers of an ultrasoft bodysuit that opens in the front to avoid the whole over-the-head hassle of dressing a baby. These bodysuits—made from 100% cotton interlock that is a little stretchy like cotton jersey, but warmer—are a great price too. There are no scratchy tags or stiff fabric to make your wee one fuss, and the front snaps provide easy access for middle-of-the-night, blurry-eyed diaper changes. Parents sometimes find these suits to run small, so double-check the sizes that will fit your own little one. As your baby grows out of their newborn bodysuits, they’re going to need bigger clothes to walk around and play in. We love this Carter’s 2-piece set in rich fall colors. Now that we have Zutano booties, who wants to mess around with fuzzy little baby socks that constantly pop off baby’s feet? These all-fabric numbers feature a soft, elastic band, encased in fabric, that hugs your little one’s ankle so the bootie stays put. The wraparound front also keeps them in place with two snaps so that when your baby discovers their feet, they won’t be able to pull them off. The booties come in breathable cotton and warm fleece, and in about a bazillion colors and patterns.